Take a pass on the straw with your water or cocktail because the plastic tubes are killing birds and animals and choking our waterways, says a Vancouver marine biologist. "There’s a lot of animals that are washing up dead on beaches and when you cut them open they're just completely full of plastic, including straws,” said Dr. Elaine Leung, a marine biologist and founder of Sea Smart, an education centre in Vancouver. "Every day in North America, people use and throw away hundreds of millions of plastic drinking straws, with many of them winding up in rivers, lakes and oceans." 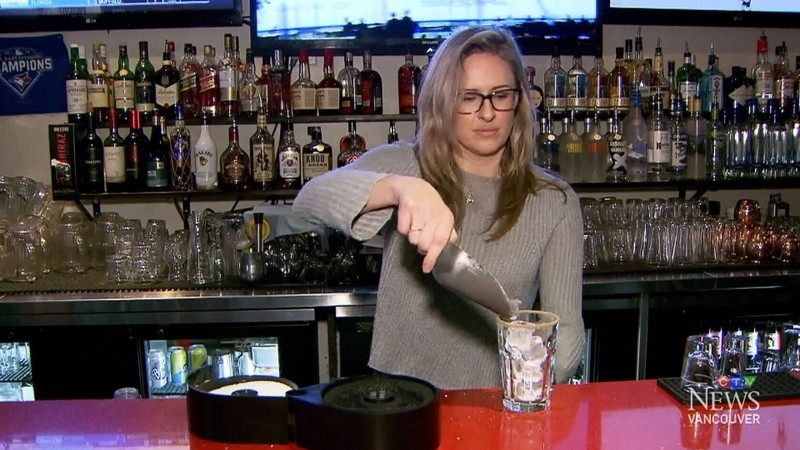 Leung was responding to news a Vancouver city restaurant, Phat Sports Bar, is joining a growing war on the straw and no longer handing them out with drinks. When a patron insists on a straw, they get a biodegradable one instead. "Better for the environment and hopefully not going to end up in a landfill or the ocean because we can put them with our compostable food goods,” said owner Jessica Price. The restaurant used to give out 10,000 straws a month. But Leung says people should give up straws entirely. "Biodegradable alternatives is a step in the right direction but a better choice is not using a straw at all. Think, how often do you use straws at home? You don't. So why do you need a straw when you go out?" Plastic takes thousands of years to break down and straws are not recyclable. It’s estimated that at least a million seabirds and hundreds of thousands of marine mammals die each year after entangling themselves or ingesting plastic pollution. The United Nations declared war on ocean plastic in 2017, saying more than eight million metric tonnes of it finds its way into oceans each year. That’s the equivalent of dumping a garbage truck filled with plastic into the water every minute. The UN estimates there will be more plastic than fish in the oceans by 2050 unless people stop using disposable plastic items, such as bags, utensils, straws and bottles. 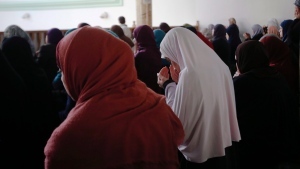 The issue was graphically and painfully brought to life in videos showing marine conservationists extracting a 12-centimetre plastic straw from the nose of a sea turtle with pliers. The turtle is bleeding, struggling to breathe, and writhing in pain. The researchers helping the turtles initially thought it was some sort of worm before realizing in horror and anger that the object was a straw. 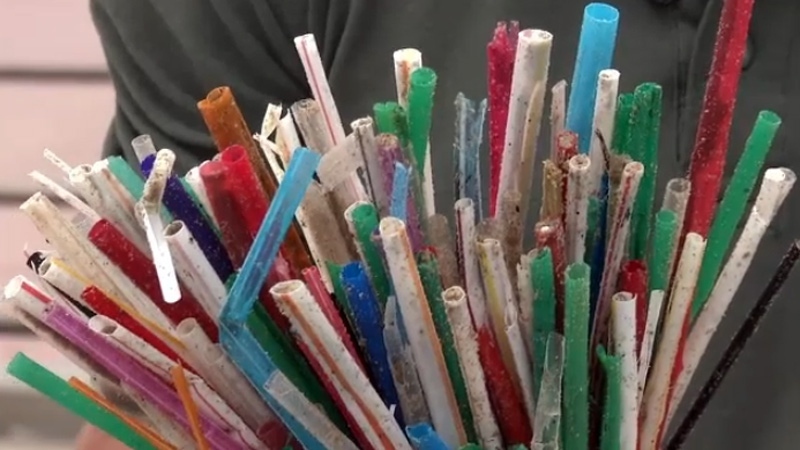 The videos shot off the coast of Costa Rica two years ago have close to 30 million views and have helped to inspire pubs and restaurants across the U.K. to ditch straws. That is part of a growing chorus of voices shouting about plastic straws. Meanwhile, some lawmakers in California want to force restaurants to only give out straws when requested. The British government has also a declared a “war on plastic,” vowing to eliminate avoidable plastic waste by 2042. Even the booze industry has got on board. The Scotch Whisky Association, Diageo, Pernod Ricard and Bacardi have all pledged to stop using plastic straws and stirrers across their businesses. Phat sports Bar owner Jessica Price appears on CTV News Thursday, Feb. 1, 2018.